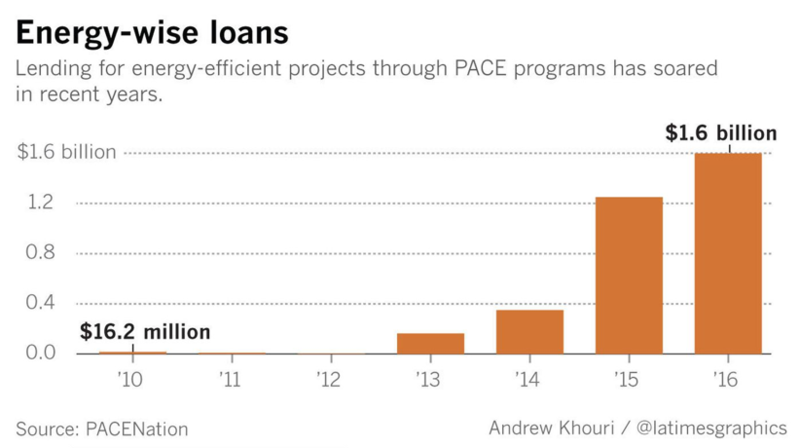 The home loan program PACE — or property assessed clean energy — is touted by many as a successful way for helping property owners pay for otherwise expensive clean energy and environmental upgrades. The concept of PACE sounds promising to homeowners and commercial property owners — low payments over long periods of time — so it’s no wonder PACE loans have seen skyrocketing demand in recent years. But, beware. In our opinion, PACE loans can cause more harm than good; an opinion many other industry followers seem to share. 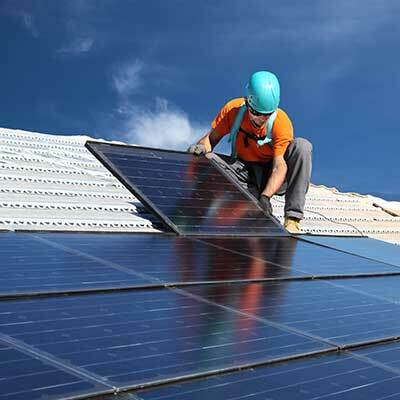 The Mortgage Bankers Association believes energy efficient building or home improvements can be beneficial for property owners, but significant concerns exist when these improvements are financed with Property Assessed Clean Energy (PACE) loans — because the financing structure presents lien priority risks to lenders, investors and guarantors. The property owner pays back the loans by increasing property taxes by a set rate for an agreed-upon term ranging from 5 – 25 years. These higher tax assessments often come as a surprise to borrowers, who were either misled by unscrupulous third parties who recommended the loans or because they misunderstood the payment plans. As a result, homeowners or commercial property owners can default and lose their property. Fannie Mae and Freddie Mac, as well as the Federal Housing Administration and the Department of Veterans Affairs, won’t insure mortgages with PACE liens because those liens go to the front of the line for repayment if a borrower defaults. A Wall Street Journal analysis of tax data in 40 counties in California—by far the biggest market for PACE loans—shows that defaults have jumped over the last year. Roughly 1,100 borrowers missed two consecutive payments in the tax year that ended June 30, compared with 245 over the previous year. That means they are in default, and could potentially have their homes or commercial buildings auctioned off by local governments within five years. So, what steps can lenders and mortgage companies do to avoid being surprised by PACE loans lurking in the shadows? They can devote time to researching each property in their portfolio to see which ones have had PACE loans taken out on them, or they can confidently hand the reins over to us to outsource all of their PACE needs. For more than 20 years, National Tax Search has offered proven solutions and services designed to reduce risk for real estate lenders, investor and owners. We’re known for TaxQ, our powerful tax research solution, which offers a 100% guarantee. Now, in response to new market needs driven by PACE loans, we’re bringing that same guaranteed accuracy and dedicated service to help our customers discover and track PACE payment status. NTS has real-time access to over 26,000 taxing entities in the U.S. and its territories. Through this vast dataset, we can identify any loans within your portfolio that have PACE liens. The NTS platform is fully integrated with your system of record, so PACE loans can be identified and managed within your existing workflow. Ongoing tax monitoring can identify any PACE delinquency as soon as it occurs. With accurate updates, you can mitigate PACE liens risk before foreclosure, thereby reducing risk of loss. NTS PACE research is 100% guaranteed. We’ll be showcasing our PACE solution at the upcoming MBA Commercial/Multifamily Servicing and Technology Conference in Miami. Visit us in booth 10 to learn how National Tax Search can reduce your risks associated with PACE loans. Or, contact us at sales@nationaltaxsearch.com to schedule a detailed risk reduction consultation.